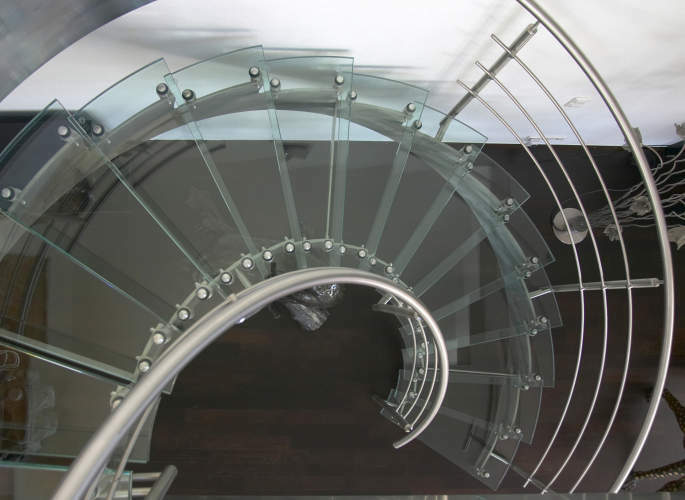 To view some of our glass staircase designs, please click on the images to the left. For more information, and to discuss your individual requirements, give the experts at Riteweld Engineering a call today! 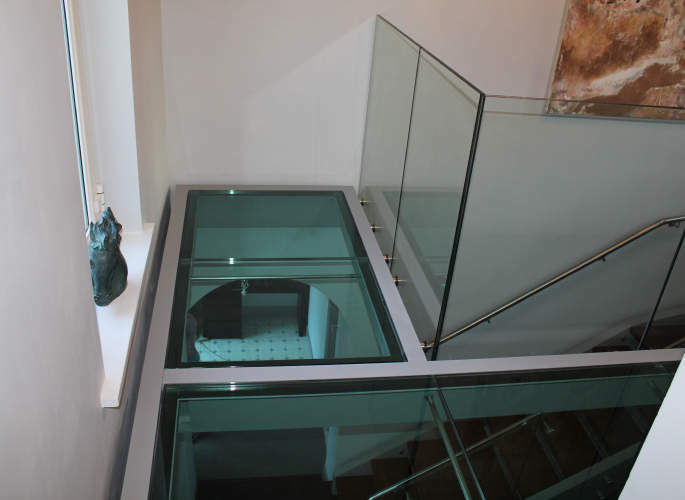 Here at Riteweld Engineering, we have a wealth of experience designing and installing a huge range of staircases, including striking glass staircases. 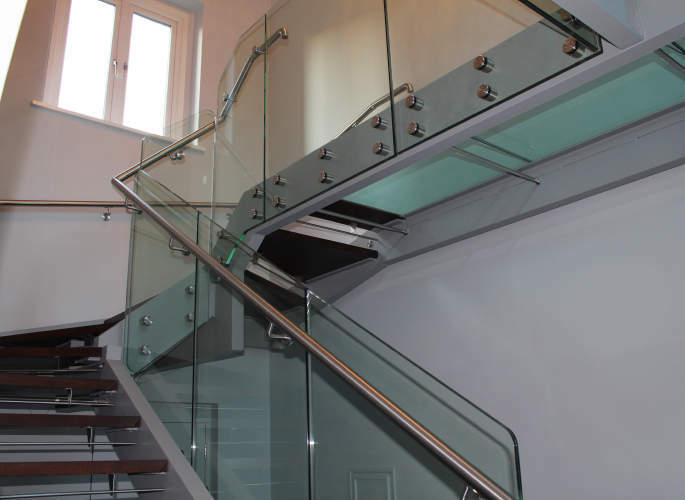 Guaranteed to create a statement within your property, our glass staircases combine beautiful design with high levels of functionality and are sure to impress guests, visitors or clients. 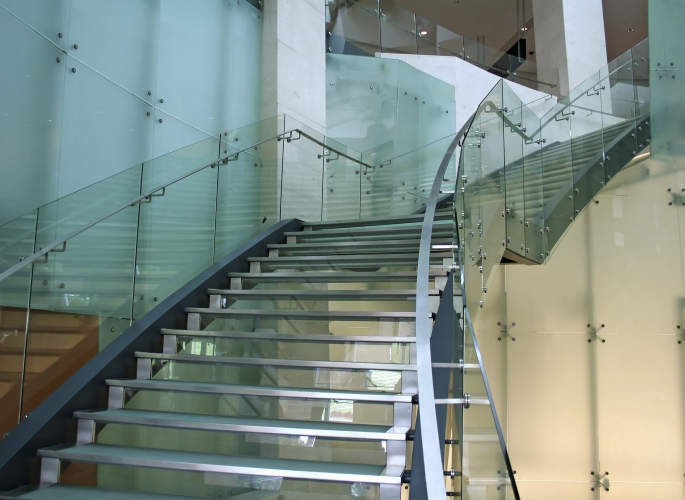 As specialists in structural and architectural steel, our designers and engineers will create a bespoke staircase tailored to your individual specifications. 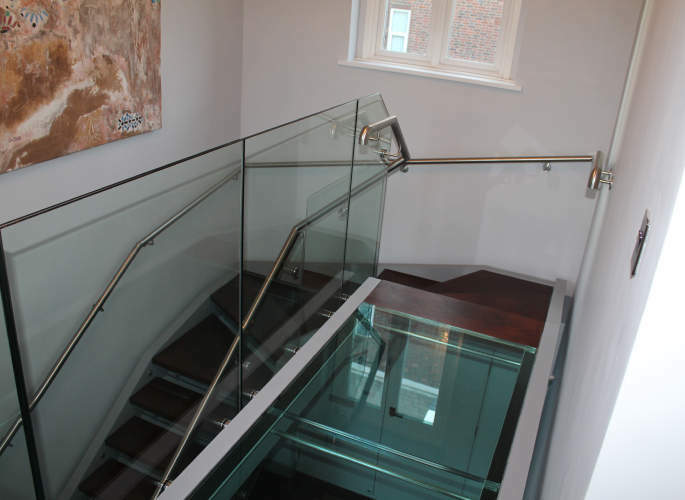 We will work closely with you throughout the entire process – from the planning and design phases through to completion – ensuring a finished result which looks fantastic and meets your every need.